It started with Pilates. Pilates was first developed in the early 1900’s and is even more popular today as the mainstream has discovered it to be a safe, effective way to strengthen, stretch and tone muscles. AeroPilates combines traditional Pilates reformer exercises simply by adding a rebounder to one end of the AeroPilates reformer. AeroPilates is an improved Pilates reformer workout that not only builds strength and flexibility, but with the addition of a simple rebounder, helps you to improve your cardiovascular performance while toning your body. The result is a workout the develops all four components of fitness: Muscular Strength, Muscle Endurance, Flexibility, & Cardiovascular Fitness. AeroPilates is the ideal total body workout. Do cardio while lying down with virtually no impact on your joints! The Cardio rebounder will help you reach and maintain your desired weight, flatten your stomach, strengthen your pelvic floor and target your goal heart rate as effectively as with a treadmill but without any of the impact or stress. With AeroPilates expert, Marjolein Brugman as your coach, you will get 30 days of daily videos and messages to motivate, inform, instruct and inspire you to reach your goals. Every day you will login to see something to DO, something to IMAGINE, something to COMMIT to, a video to add FOCUS, and an informative article to offer SUPPORT. Already a Jump Start member? Sign in. 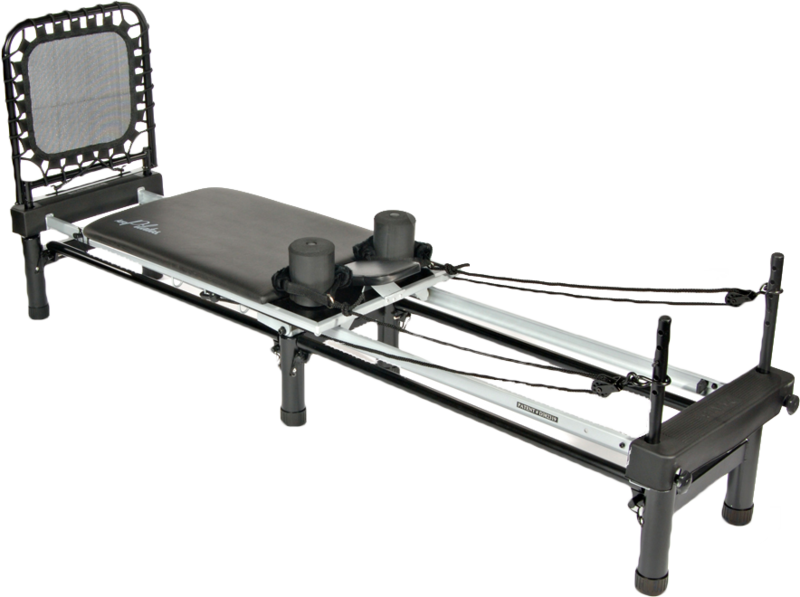 The patented Cardio Rebounder makes the AeroPilates Reformer the one piece of exercise equipment you need to be totally fit. You will get stronger, more flexible, leaner, and more centered. With regular use, it will tone and tighten every muscle while it lengthens your spine and retrains your body to move efficiently and gracefully. Be the first to know about the latest products, exclusives and offers from Stamina Products.